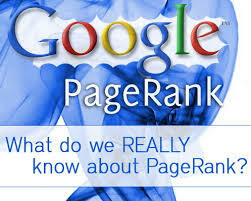 Attention Bloggers, Google coming out with Page Rank and wants to know why you want a better Rank! Millions of Bloggers who are desperately waiting for a Google Page Rank have a reason to cheer. The last Google Page Rank updation happened in January 2013 and you will find a million website giving so called information about the next Google Page Ranking updation. Be relieved now because Google itself, through Matt Cutts has given the indication that Google will be updating the Google Page Ranks soon. If you are wondering what that hyperlink is all about, it is a Google Docs Form for submission of your blog or 'small website' as Google calls it. 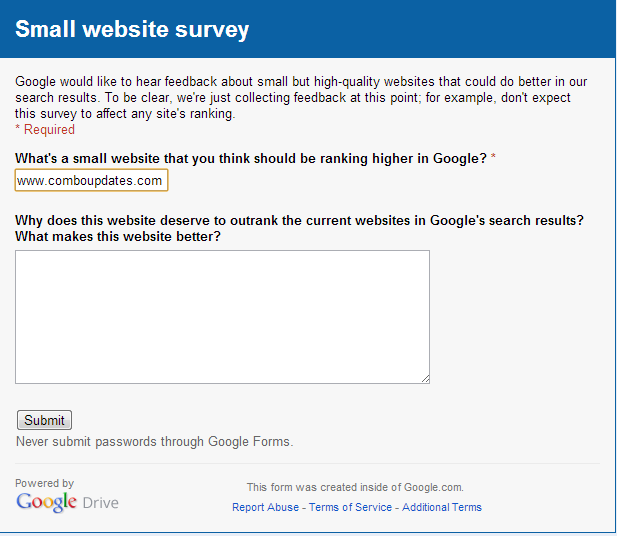 You are required to fill in the web address and give reasons to Google, as to why your 'small website' should be ranked any higher. So if you really think your Blog or small website should rank any higher, visit the hyperlink here and give Google a good enough reason to make that happen. Finally something which will make Google understand us otherwise its always we all trying to figure out Google. Thanks a ton for this vital info. Some nice and useful information for starters like me. Thanks Vijay for the information.